The Sierra Foothills has been known as gold country since the middle of the 19th century when people from across the globe rushed to the region to seek their fortune in the shiny, precious metal. The small, friendly towns that were once the center of the prospecting are now the quaint components of the Sierra Foothills Wine Region. These quiet hamlets can be reached by driving about an hour east of Sacramento, California or just a little longer driving west from South Lake Tahoe, California and as you might imagine, it is a wonderfully scenic drive. It is a very different experience than visiting the coastal wine producing regions such as Sonoma or Napa; far more space between the wineries and their tasting rooms, but, far less traffic and congestion. There are neither the icon wineries nor the fame of the Napa Valley Cabernets, however, for those looking to discover some great values and some lesser known grape varieties, it is a trip well worth the time spent. 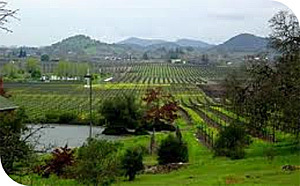 The Sierra Foothills Wine Region American Viticultural Area(AVA) was established in 1987 and is one of the largest in terms of acreage of all California AVA with 2.6 million acres. Despite the overall size of the Region, the acreage planted with grapes is approximately 5,700, about one-fifth of the plantings in the Napa Valley. Of the 5,700 acres, nearly 40% are planted to Zinfandel followed by 600 acres of Cabernet Sauvignon and about 560 acres of Syrah according to The Wine Institute. The climate is slightly warmer than the coastal counties, but, the high elevation does bring some cool nights, a key element in producing quality grapes for wine. The warmer days are very agreeable to Zinfandel and the plantings reflect the variety's love for the Foothills climate. Stylistically, the Zinfandels of the region tend to have more black fruit flavors and a generous, ripe, round middle palate. The Cabernet Sauvignon also shows the climate's warmth with a deeper, plummy fruit and a slightly higher alcohol level than the cooler, coastal regions of California. Either of these wines pair well with any barbecued foods and the sweet and sour aspect of the sauces. Although Chardonnay is the most widely planted white grape with nearly 300 acres planted, it is the varieties with a Rhone Valley Heritage, such as Viognier, Marsanne and Roussanne that seem to shine in the Sierra high country. These whites show vibrant citrus flavors with soft, yet adequate acid levels and a touch of earthiness. These wines accent spicy seafood dishes or roasted chicken very nicely. 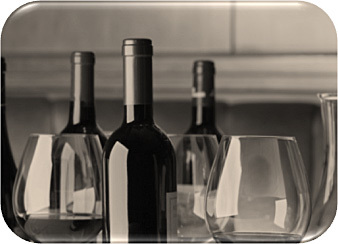 With some plantings of Italian red varieties such as Sangiovese, Nebbiolo and especially Barbera, the region has a lot of diversity for the curious wine consumer. With more depth in the mid palate than those of the native country, the spice and bright red fruit flavors are very enjoyable with grilled meats. Any discussion of the Foothill wines should include Syrah, a red with Rhone heritage; the plantings have soared to number three in the hierarchy with good reason. Those of the El Dorado AVA are among our favorites with their red and black berry fruit flavors, soft tannins and wonderful spice. With Valentine's Day on the calendar this month, we can't overlook the thought of some chocolate and wine pairings, maybe as the end of a wonderfully quiet dinner together. The Sierra Foothills has plenty of options to enhance the great dark chocolate ending, whether it is a Late Harvest Zinfandel or a nice Zinfandel Port, these Foothill staples are well worth the visit to the store. Stop by your neighborhood Vino 100 and taste some of these exciting and affordable wines, along with some other fun wines to drink, from this wonderful wine region.